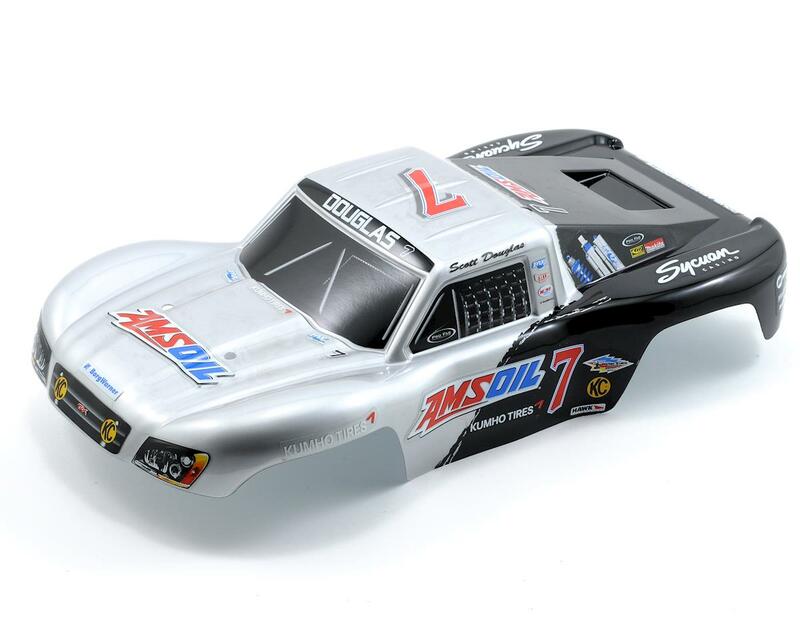 This is a authentic Scott Douglas AmsOil race team replica body, intended for use with the Traxxas 1/16 Slash, from Traxxas. Straight from the track to your workbench! 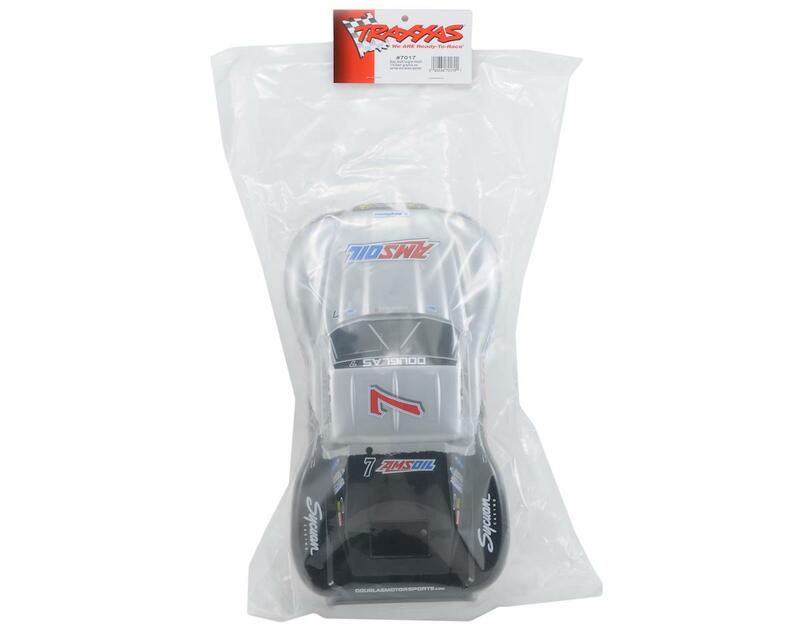 Traxxas’ new race-team replica bodies are fully licensed for authentic good looks. All the major decals and graphics are factory applied to duplicate the signature style of short-course racing’s top drivers. The bodies are pre-trimmed for speedy installation with just a reamer, and the mounting dimples make it easy to select the correct post locations.